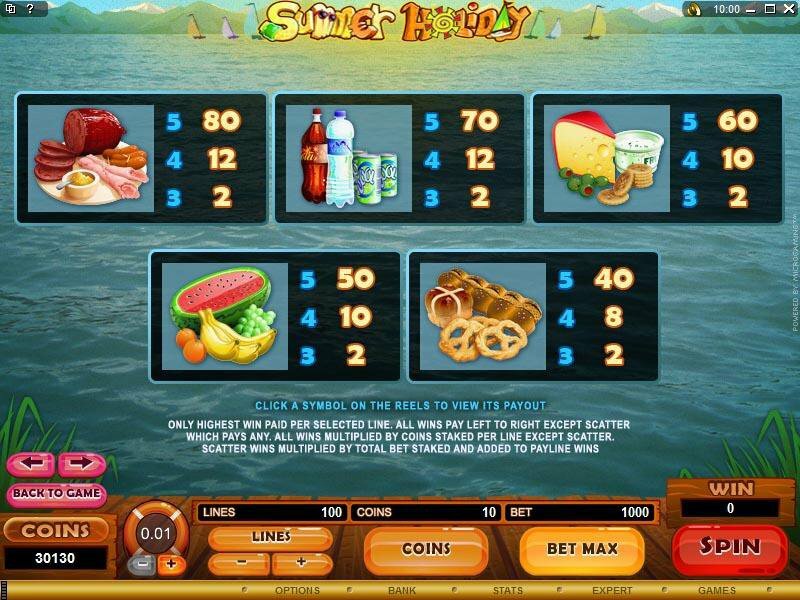 Overview: The northern hemisphere summer holidays are almost here, with picnics, water sports and a break from work giving us all the chance to enjoy some R&R and maybe a little online action on brand new games like the just-launched video slot SUMMER HOLIDAY. 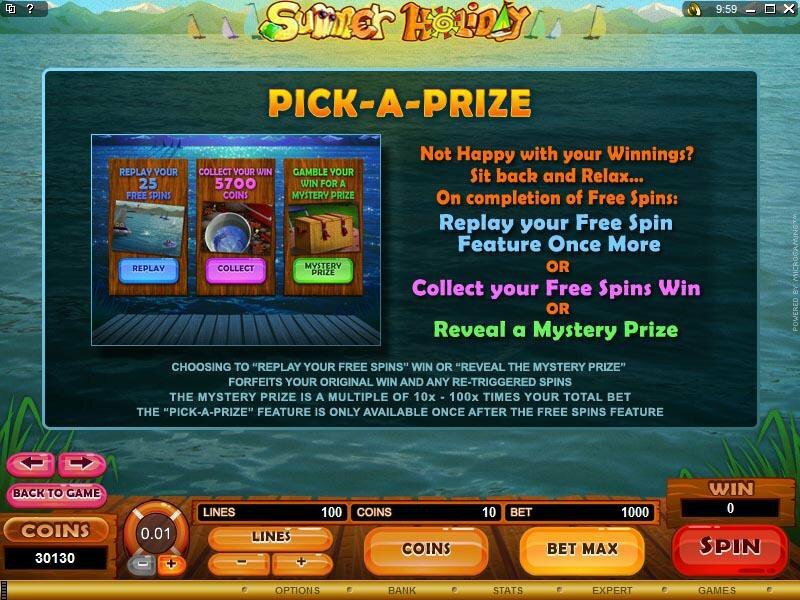 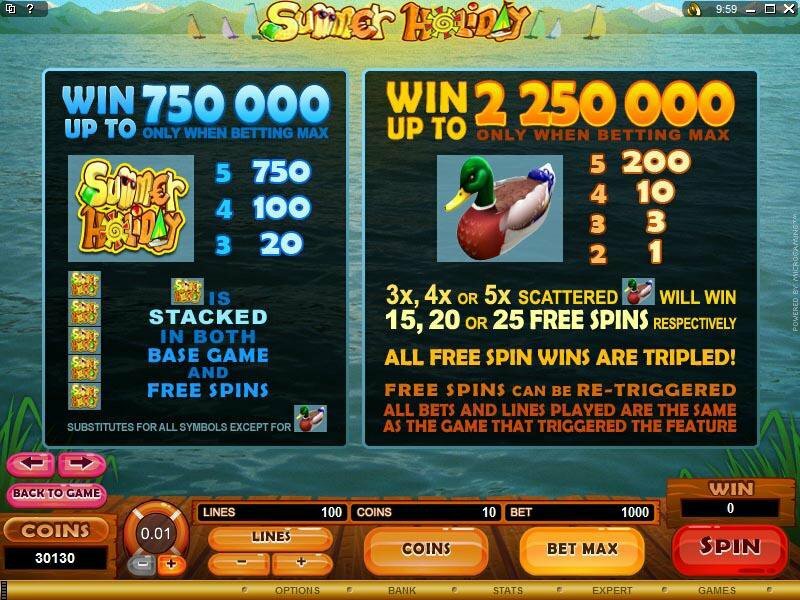 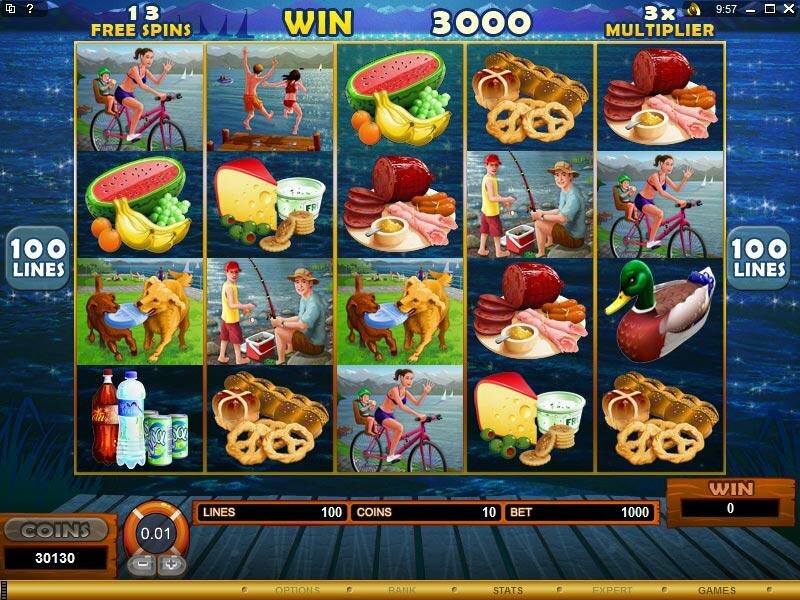 Look out for the scattered duck symbol, because 3, 4 or 5 can trigger 15, 20 or 25 re-triggering Free Spins where all wins are trebled, and if the player is unhappy at the end of the Free Spin cycle, there's a new Pick- A-Prize feature that offers a choice of three alternatives: Replay the Free Spins (putting at risk any wins or re-triggers earned in the cycle), receive a mystery multiplier prize which could be 10x total bet right up to 100x, or chicken out and stay with your winnings! 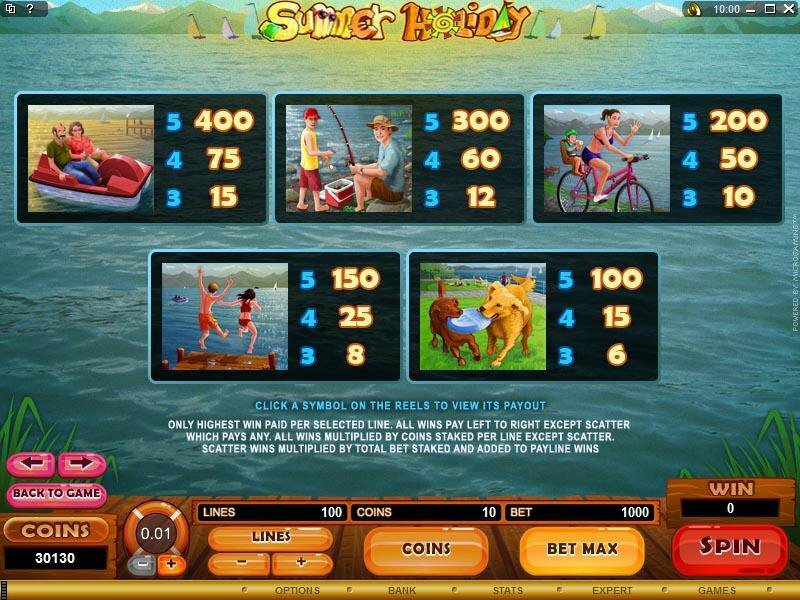 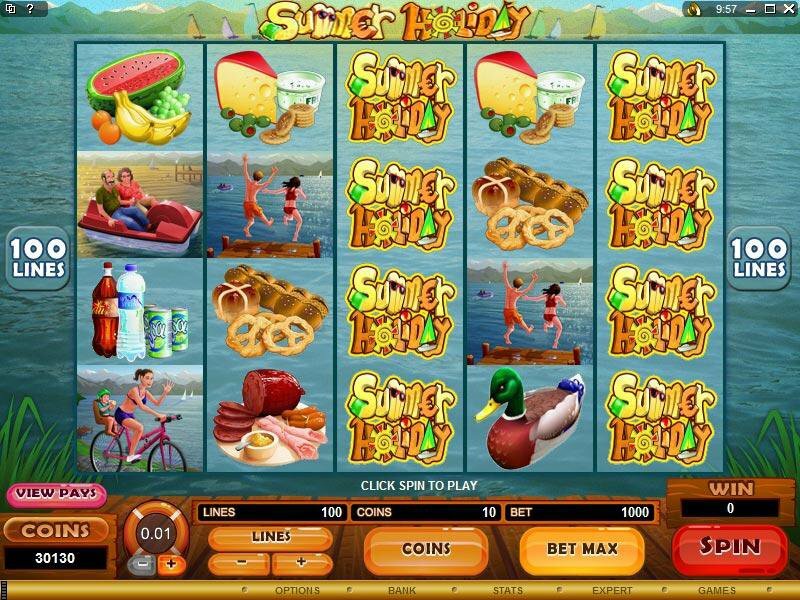 Similar Slots: If you like Summer Holiday, you might like these other 5-reel slot machines: Big Kahuna : Snakes and Ladders, Break da Bank Again, Mad Dash, Santa Paws, The Adventures of Galactic Gopher, The Osbournes.